Creating quality training programs that fit with your clients needs and help them get great results is a huge part of successful online personal training. In the past individual program design has been a time consuming process. That was until PT Distinction V3 launched and smashed all conventional thinking on how quickly it's possible to create bespoke programs for your clients. In this short video Tobias, Simon and Chris share how they build 4 weeks of individualised workouts in 45 seconds. 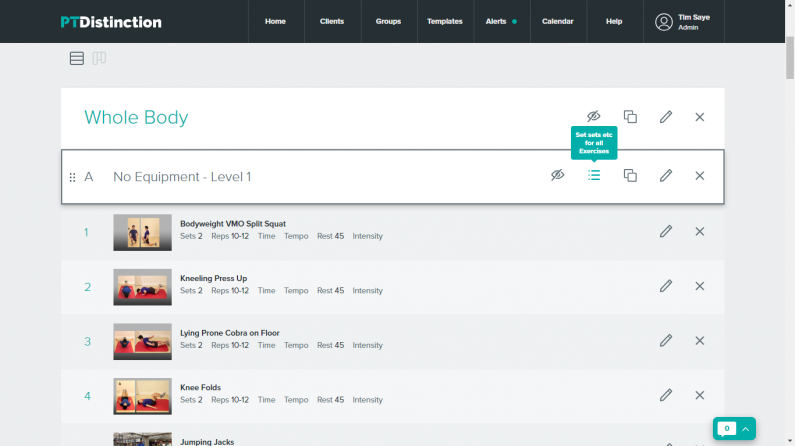 These 3 videos take you through the new program builder and how it can help you create 4 weeks worth of programs in 45 seconds. Video 1 starts with the fundamentals of the program/ workout builder. Video 2 looks at some of the amazing time saving features of this program builder. Video 3 shows how to set up your templates and use these features to create individualised programs in seconds. This is really powerful stuff that will save you more hours than you can ever imagine. If you take pride in the quality of your program design you'll love these videos.... Especially number 3! Video 1 - Fundamentals of the program/ workout builder. Video 2 - Amazing time saving features. Video 3 – Build 4 weeks of individualised programs in 45 seconds!